2 pairs of women fashion make-up readers in 1 low price, available color in: dazzling colorful pattern red, basic crystal Do you still struggle to put on your makeup then get frustrated over and over again? No mess and no smudges now! 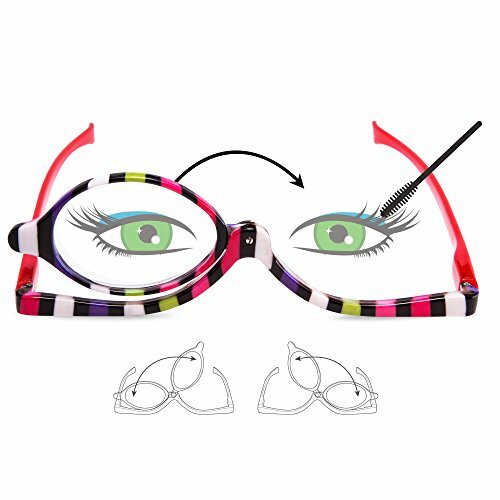 Our make-up reading glasses will help to avoid any make-up trouble, like crooked lipstick, eyelines and mascara. You can switch the lens to the right when you start making up the left. Give yourself flawless and more professional makeup look with our make-up readers now! Last but not least,your support is the crowning glory for us. Meanwhile,your satisfaction really matters. Please don't hesitate to contact us to solve any problem before leaving any neutral or negative feedback. 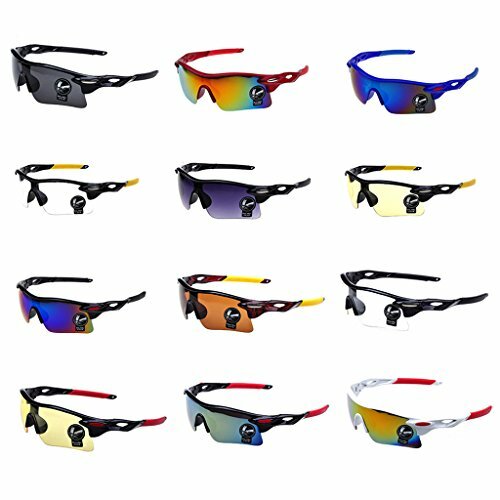 DISCOVER THE EYEKEPPER DIFFERENCE Provide the quality and ex-factory price reading glasses and customer serviceThe frame for the most comfortable fit available today in addition to unparalleled durability Great quality plastic folding frame design reading glassesFEATURES AND BENEFITSAspheric scratch resistent coated lensesQuality plastic Frame with spring templesOptically correctWhether you are looking for reading glasses for the office or home. 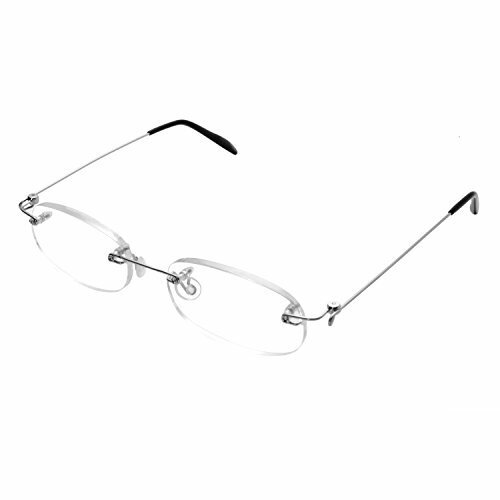 Eyekepper reading glasses will give you the premium protection you are looking forLifetime breakage warranty on frame & lenses 30 days money back guaranteeINCLUDES1*hard caseCARETo avoid damage, never clean your reading glasses with paper towels or clothing or alcohol, and also avoid using household detergents or soaps. While a few mild soaps don't harm lenses, today's extra strength soaps are powerful enough to slowly disintegrate lens coatings. 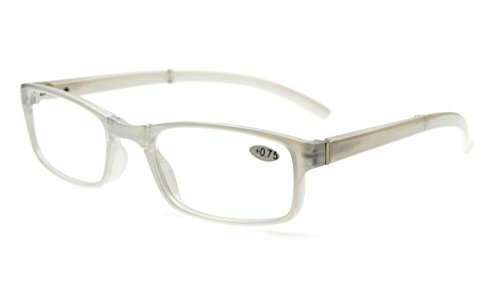 Product Description: 100% brand new and high quality Material: TR90 Pattern: No Frame Reading Glasses Gender: Unisex Simple, convenient and fashion Give your eyes better protection Strength: +1.00/ +1.50/ +2.00/ +2.50/ +3.00/ +3.50 Size: As the picture shows Warm tips: We suggest our customers buying it very soon of your planned use. Any problem of this product once reaches you ,please contact us asap,we will solve it for you. ¡¡ NOTE: Please allow 1-2mm error due to manual measurement and make sure you do not mind before ordering. DISCOVER THE EYEKEPPER DIFFERENCE Provide the quality and ex-factory price reading glasses and customer serviceThe frame for the most comfortable fit available today in addition to unparalleled durability Great quality telescopic arms design folding reading glassesFEATURES AND BENEFITSAspheric scratch resistent coated lensesQuality Metal FrameOptically correctWhether you are looking for reading glasses for the office or home. 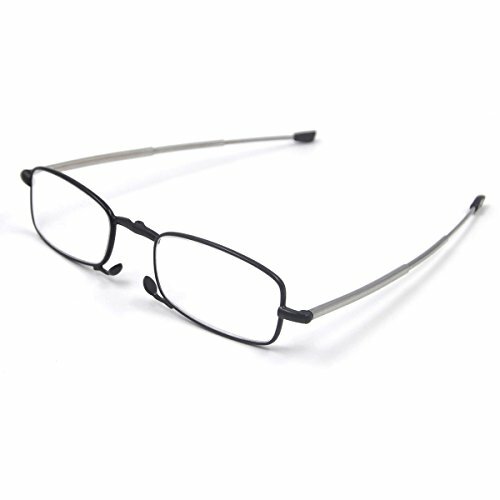 Eyekepper reading glasses will give you the premium protection you are looking forLifetime breakage warranty on frame & lenses 30 days money back guaranteeINCLUDES 1*Hard Flip-Top CaseCARETo avoid damage, never clean your reading glasses with paper towels or clothing or alcohol, and also avoid using household detergents or soaps. While a few mild soaps don't harm lenses, today's extra strength soaps are powerful enough to slowly disintegrate lens coatings. 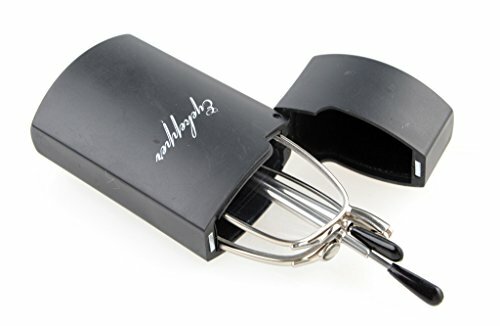 Features: - Foldable frames are easy to store and carry. - Slim and classic look suitable for men and women. 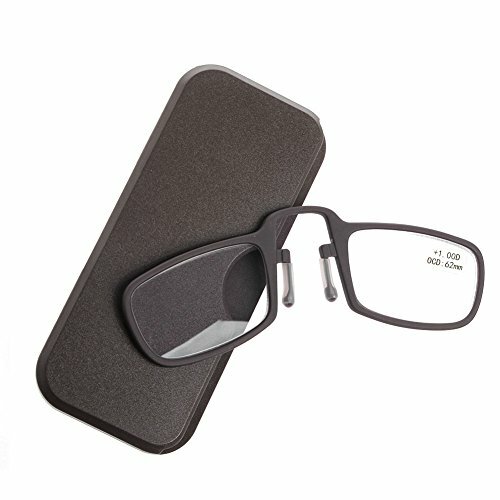 - Each reader comes with a flip top carrying case to protect your glasses. - Choose your magnification. Features: - 2 Folding Readers for the price of 1. - Set of Black and Red. - Foldable frames are easy to store and carry. 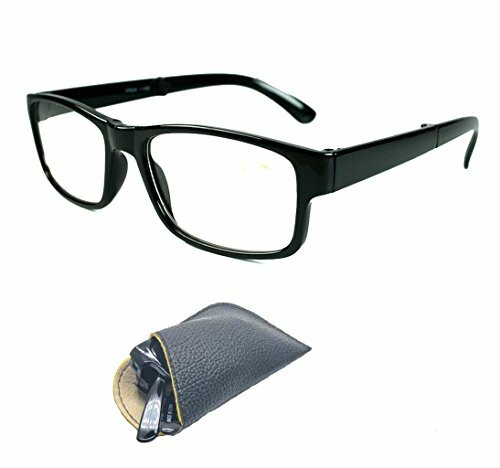 - Slim and classic look suitable for men and women. 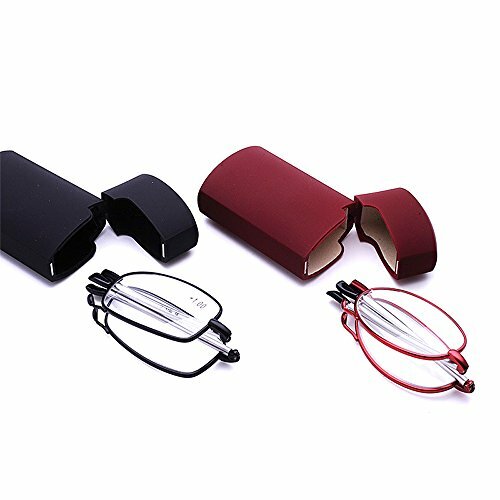 - Each reader comes with a flip top carrying case to protect your glasses. - Choose your magnification. "Jest Sayin" Reading Glasses My Eye! A funny comedy scene from Gunsmoke tribute artist Mark Staggs. “Jest Sayin!” from Festus. Produced by Mark Staggs’ Impersonations and Comedy. To book Mark for events, email him at [email protected] Also thanky to Westerns on the Web. 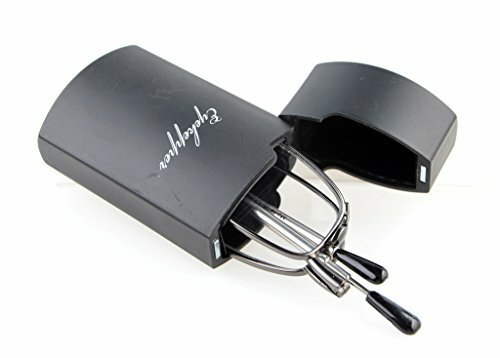 Compare prices on Folding Reading Glasses 1 75 at ShoppinGent.com – use promo codes and coupons for best offers and deals. Start smart buying with ShoppinGent.com right now and choose your golden price on every purchase.